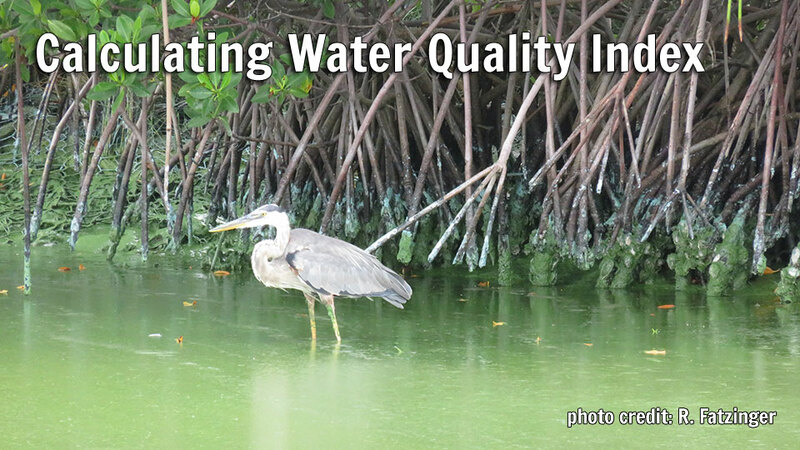 The Water Quality Index (WQI) uses the four water quality indicators: chlorophyll-a, TN, TP, and turbidity. The WQI was calculated for each sublagoon area by converting annual offsets to a percentage scale, resulting in a final score ranging from 0% to 100%. As the offset data breakpoints were not distributed at equal intervals, custom conversion formulas were created for each of the classes. The final percentage scale was divided into six classes (0% to 49%, 50% to 59%, 60% to 69%, 70% to 70%, 80% to 89%, and 90% to 100%) which allowed for easy association to a single offset class. The tail ends of each offset scale were stretched beyond the current minima and maxima to ensure future values would be incorporated, with the exception of stretching the range would be incompatible with the logical scale. The conversion formulas use a ratio of the ranges from both class systems, a normalizing value, and a conversion factor to achieve a final percentage score. The table below compares the offset and score classes for chlorophyll-a in the CIRL South in 2016. The ranges for each class were found by calculating the difference between the minimum and maximum values. Over the twenty years of data, chlorophyll-a offsets in the IRL ranged from –27.86 µg/L to 2.06µ g/L (see table below). These extrema were stretched by 10% as to ensure the inclusion of future offsets that could potentially extend outside the current dataset’s boundaries. This process was repeated independently for each indicator, so that all four indicators used in the WQI were normalized from a 0–100% scale, which always indicates from poor-great ecological scores based on target offsets. The final WQI simply averaged the normalized indicator values and assumed equal weight to all four variables.